Just wanted to take a minute and wish you all a happy and safe Halloween. This is one of my favorite days of the year, and I can't wait to put my #birthdayween witch costume back on tonight and hit the town. 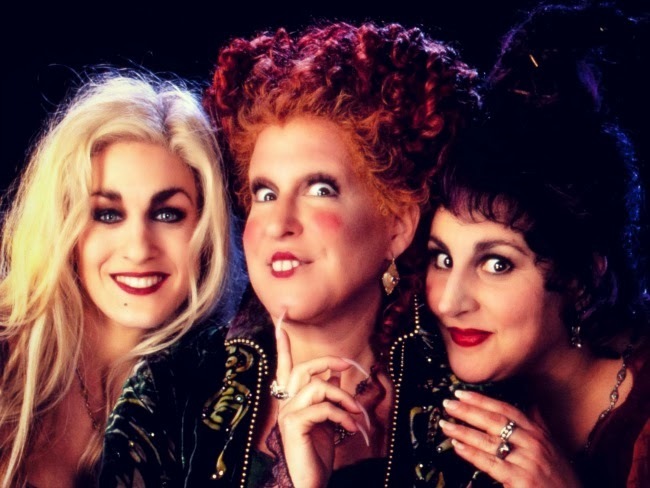 Now, I think I do this every year on the blog, but I can't help but give a shout out to the best Halloween movie ever made, Hocus Pocus. Can you believe it came out 20 years ago?! To get in the spirit today, you'll want to watch "I Put A Spell On You" here, and then watch this adorable interview Bette Midler did with Katie Couric, talking about how much she loves this movie. "You know, I always wanted a child. And now I think I'll have one—on toast!" This is one of my favorite movies ever. Definitely watching this tonight!